Staff at ABP UK are thrilled to have raised £127,000 for their 2017 and 2018 charity partner, Cancer Research UK. The team at ABP, one of Europe’s leading food processors, took part in a range of initiatives across the business to raise the money including bake sales, barbecues, and sponsored sporting events such as golf tournaments and colleagues running the London Marathon. 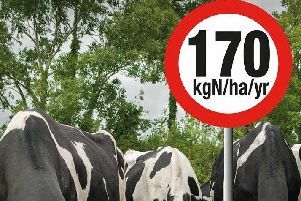 Does your farm need a nitrates derogation?